Got a great kid? We thought so. You're just 5 minutes from "awesome!" 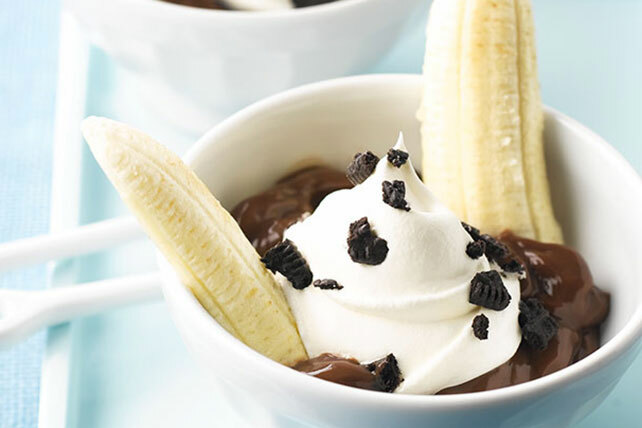 with creamy pudding, whipped topping, Oreo Cookies and—key ingredient to any split—sweet, ripe banana. Spoon pudding into 2 small bowls. Top with COOL WHIP and cookie crumbs. Serve immediately. Garnish with chopped PLANTERS Pecans or Walnuts.